Gilbert Island homes are located in the Northwest Huntington Beach area of Huntington Beach, California. Gilbert Island is one of 5 man made islands in the Huntington Harbor with spectacular water front views. The community was first built in the mid 1960's and features three to five bedroom homes that range in size from 1,499 to 6,009 square feet of living space. There are many stunning European designed style homes with boat docks and boat slips able to accommodate large luxury yachts as pictured above on the right hand side of the photo. The five man made islands in Huntington Beach consist of Admiralty, Davenport, Gilbert, Humboldt and Trinadad. 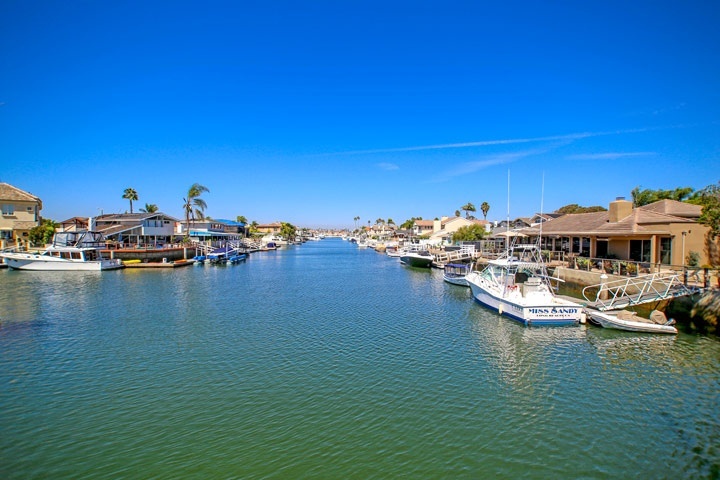 Below are the current Gilbert Island homes for sale and for lease in Huntington Beach. Please contact us at 1-888-990-7111 with questions regarding this community and any of the homes listed for sale here.